This is an excellent book! I compulsively read it and finished in two days. Not uncommon for me when I enjoy a book. 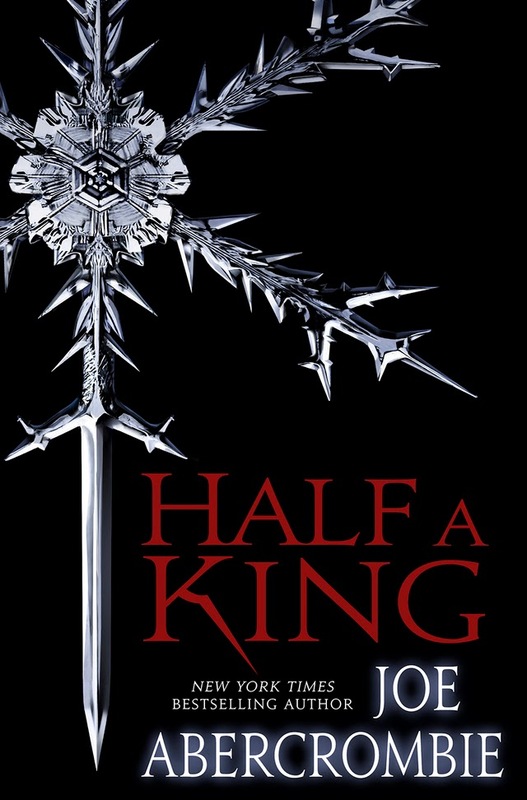 Joe Abercrombie successfully enters the YA market but in no way does that diminish this as a book for all ages. 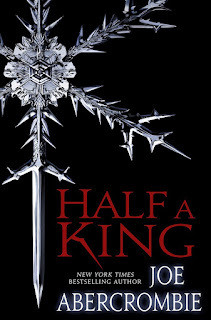 It has a somewhat lighter feel than his other books and the main character is a young prince which is part of the appeal to a younger audience but it's still violent and and edgy, with a dark foreboding feeling throughout. The normal foul language is scaled way back as well. One of the reasons I love reading an Abercrombie book is because of the witty and clever writing and Half a King does not disappoint. Beginning to end the writing is wonderful. The dialogue, descriptions, and narration are all laced through with his trademark dark humor and clever turns of phrase. This is a fantasy world and it's done amazingly. I was especially interested in some of the world back-story, always something that fascinates me because I love new creation myths that authors build and this has a great one. There are some other very cool references to certain races and places in this book that left me wondering more about this world's origins but I won't spoil it for the reader. Magic was also completely or nearly non-existent and I do enjoy magic so that was a bit of a disappointment. I do believe there will be some great mysteries unveiled in future books and hopefully magic is introduced. As for plot, it was action packed and fast moving, and I expected nothing less. A few of the sequences were a bit boring and kind of standard to me, meaning I have read similar scenes many times, although not usually so well written. The ending was great and it sparked my interest for the next in the series. I thought it was wrapped up nicely, without any annoying cliffhangers. I originally wanted to give this 4/5 stars but bumped it up to 4.5/5 while writing this because I really did like it. I just didn't love it. When I read The Blade Itself, I immediate put it on my "favorite of all time" bookshelf. But this one won't go there. Perhaps it is because the last two years I have developed a very specific taste in reading and I have read so many fantasy books that it really takes a certain style of book to get me to love it. Part of the reason is that it just wasn't brutal and dark enough for my taste although it has those elements. Also, I didn't really love any of the characters, even Nothing, who was the mysterious one here and probably my favorite. I still think about some of Abercrombie's First Law series characters, like my favorite Logen Ninefingers, also Rudd Threetrees, Glokta, Bayaz First of the Magi, and Shivers. For the person who reads 10-20 books in a year, I would recommend they make this one of them. It's a beautiful book. For the YA, who enjoys fantasy or even is hesitant to pick up a book, I heartily recommend this book to them as a must. For the fantasy lover who has been reading for many years, I also highly recommend this book. There's something for everyone in this book and objectively, it is one of the best books out this year.